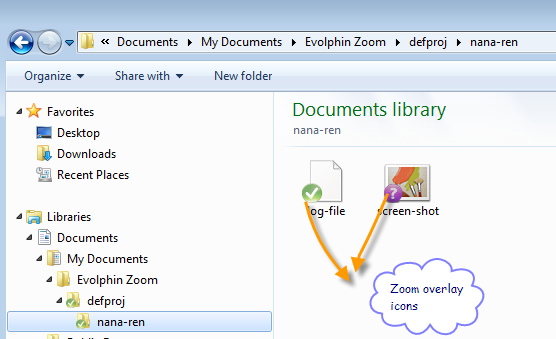 Microsoft allows a limited number of overlay icons in Windows Explorer. In Windows 7+ the limit is 11. Any application can hijack these overlay icons easily, starving the previously installed application from using overlay icons and/or impacting the explorer context menu. The solution requires modifying the Windows Registry. If you have never touched the Windows Registry before, please ask an administrator to help you. Backup the existing Windows Registry in a safe place before attempting the next steps. 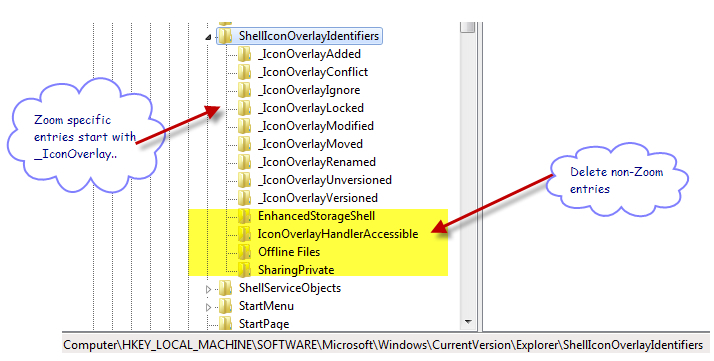 After launching regedit, go to Edit->Find and type ShellIconOverlayIdentifiers to find the registry entry: HKEY_LOCAL_MACHINE\SOFTWARE\Microsoft\Windows\CurrentVersion\explorer\ShellIconOverlayIdentifiers. This can also be done by clicking on the registry tree till you are at the node for ShellIconOverlayIdentifiers. The _IconOverlay* entries are evolphin specific entries. Rest are for other applications. Restart the Windows machine or kill/restart explorer.exe process in Task Manager, wait for a minute or two, the icons and context menu should re-appear in the working copies. © 2018 Evolphin Software Inc. All rights are reserved.